Yeah, I know what you mean :^/ But it was a huge part of my childhood so I can't help but be excited anyway! I'm comfortable with Mewtwo, but don't feel like he quite measures up to my Villager or G&W. There's a lot of stuff I could improve on with him. I actually checked the Zelda social yesterday on a whim and found you had returned! I was quite surprised. This is out of the blue but just curious: Would you just happened to have just been playing on For Glory & find someone named "Trashboat" (using MM/Greninja/Lucina)? Found someone there with your name. Yeah, that was me! GGs man. Gotta figure out how to get around that Mega Man. Yeah, sure. Just send me an invite or something and I'll be available at times. What's your name and ID? I'm gonna attempt to bring my Sonic back up to speed. Good Sonic pun. :p. What's the impetus? The character's bait-and-punish game is basically unrivaled and it's scary. Was just trying him out in friendlies a week ago and everything just seemed to "click" at that moment, compared to when it just felt like a mess beforehand. I think Robin does have matchups that are more comfortable to play, like Cloud and Fox and Sheik and the big characters, but Sonic's there for the likes of Mario and Diddy where I need to get moving. Nah, I'm in Utah. We were both part of an old Brawl OTL group that has mostly stayed together over the years. I'm not real close with him but occasionally we talk on the group Discord (he's not really chatty on there eitiher lol). He showed us his pool yesterday. I played some friendlies with him and two other guys from there the other day. We should add each other on Discord, if you want. Kofu, how much do you know about Utah's scene? I believe the Gamer's Abbey is the biggest tournament around here. I'll have to check out that archive. I'm drawing a blank on the Ryu player who beat me in the tournament I went to a few months back (although SDing twice didn't help lol). Lada primarily plays ROB btw. Oh, I got my brother a Falco amiibo for his birthday. Should be fun. Yeah, I know since I checked the PR thread and saw Lada listed for ROB. Later checked and it seems like Falco's a secondary or just character Lada uses. Gamer's Abbey link if you need it: https://www.youtube.com/channel/UCTW8ZlOabh31ONGl2c7CtUQ/videos. Is nqztv affiliated with Gamer's Abbey Utah at all? Some of Utah's players have videos on there. How did I not know that Extreme Balloon Trip had been nerfed until today? Bowling ball reads are nasty but fun. Nice use of the opponent's tools with Lloid though! We'll have to play again sometime. Bowling ball reads are those kinds of reads where you're upset you got hit, but you're upset at yourself more for getting suckered into that position in the first place. For real though, I'm down for more matches. Just not this weekend though. Back to back events and such. Pretty much. It's a strange projectile that has more vertical reach than horizontal. Also the fact that it's coded to do more damage as it falls is great. My blood pressure rises every time I encounter an FG Falcon. Oh yeah, Swordfighter's UAir! That move is great. I'm curious as to what would happen if all moves did more damage. Would have to be distributed differently like combo, "check" moves shouldn't be that stronger, but kill moves and Smashes should. It would make Smashes more rewarding... Heh... Bowser with an uncharged 30% Side Smash. Assuming that equipment doesn't alter knockback values it can provide a good starting point. Or fight amiibos. My Mewtwo amiibo scares me with its ~25% FAir. I mean, I haven't played Melee in ages so I don't remember details on its version of Fire, although I know it lacks the parachute and I think it puts him in freefall. It was still one of the better recovery options in the game IIRC. Now, only having two L-cancellable aerials, that's trigger material. Also DTilt has had some sort of huge change in every game. Vertical KO move in Melee, quick poke in Brawl, windbox and late kill move in Sm4sh. It probably shouldn't be as quick as it was I'm Brawl but shaving a few frames off the end would be nice. Yo, any chance we can play this week? You have no idea how mad rage makes me sometimes. You either have to land his frame 15+ smashes, get a gimp, land UAir, or get a 9 or Oil Panic kill. A stronger FAir should be a dream to help kill. Rage works against him so much, especially since his damage per hit is pretty good. But hey, let's play again sometime. I need Ganon practice and to work on my spacing. I love rage for obvious reasons lol. And sure i'd love to play again sometime. You probably don't have any BADGEs! I have results, though! Apparently UAE had a major: http://smashbrosuae.challonge.com/Spring2016 and sultoon who placed 4th is a Mr. G&W. Grands was against a Rosalina and a Ryu/Mega Man player. People in the CCI might not care and might say UAE is a free region, but still, pretty neat. Here's grands as a link to their channel: https://youtu.be/SoSulepFiXA. Would it be worth it to bring it up in the CCI? It's another major... Eh... Just saw how sultoon placed and wondered if you'd be interested in Mr. G&W's tournament results. Hey, that's pretty cool! I have no idea how strong the UAE is but results are results. Really? I heard good things about Dream Team and Paper Jam seems to have decent reviews. I have the game and will let you know what I think of it. Watching all these vines makes me appreciate how silly Smash is. Mainly windboxes but Smash in general too. Villager has failed me for the last time and will be replaced by Sheik. So, yo, Cloud got 17th at Genesis, outplacing any other DLC character. In just one month, all this power! He was primarily a secondary for that placing, though, right? Ryu did better as a sole contender I think. But Cloud is definitely a scary package. I was thinking today if they nerfed his mobility so that his current base levels became his limit break levels how big of a hit that would be to his viability. It would be a hit. I don't think nerfing his movement or frame data would do much outside of effectively crippling him. It's very important to him. I'm not thinking huge nerfs. I'd need to check his current stats to give numbers. But honestly, it's the combination of his range, frame data, and mobility that gets overwhelming. Toning down his mobility seems like the most fair solution from his design standpoint. Fair enough. I wish my characters did better against Sheik. One of my friends is quite good with her and I basically stand no chance of consistently winning. Villager feels like my best bet though. Oh. I mean to compliment you on your pivot USmashes. It's useful for Game & Watch (since his head is invincible) but haven't used it nor have I seen it used (even on other characters). Oh, thanks! They're actually turnaround JC USmashes, very easy to do and practice! Saves a lot of inputs and timing, as well. I can do them (not totally consistently, need more practice), it's just something I haven't applied to my game. Same with foxtrotting as my main ground movement, something that Cloud can also do very well. Possibly? I'd probably have to play at least one of you, I don't have a lot of experience against Pit. I do think he wins though. Wait, so... tonight or tomorrow night? And with that announcement, Sonic may officially be shelved. That'd be really nice, too. Maybe make UAir 2's hitbox bigger, I'm really confused when it misses seemingly touching the opponent. I'd also make USmash's hitbox slightly bigger, it basically doesn't have a hitbox behind his head at all and it bothers me when it misses when my opponent is right behind me. So his DThrow had a somehow undocumented change like the angle change on G&W's UTilt a few patches back, huh? Pretty much, yeah. W e have no idea what to make of it. But now all we need is to make Utilt better and Robin'll be golden. So, have you been keeping contact with the guys from the xat chat? I had to get a new laptop a while back and sorta lost everybody along the way. I was wondering if everyone's still around and could maybe get back with them. Yeah, they're all on a Discord chat now. I'll see of I can get you a join link tomorrow. Why do I feel like I'm better at the 3DS version than the Wii U version? It's frustrating. Still haven't been able to play much so there's little point atm. I did buy a G&W amiibo yesterday though! It was in the retro bundle. I'll probably use ROB, not sure about Duck Hunt. It'd be nice to see you around in skype and chat though! D; Everyone has asked about you. Aw, people care about me! I just never got a Villager one. It's one of the more common amiibo AFAIK, shouldn't be too hard to nab one. I also want to get a Mewtwo one. I'm alright. Still haven't been able to play Smash for months but hopefully I'll be able to again soon. It's the main reason I haven't been on here as much. That, and I've been working a lot. Oh yeah, I got into the first season and a half over the course of the past few days. These young people do not appreciate a proper fugue. I like classical music, yeah. I usually listen to a classical station while I drive, not because I don't like other kinds of music but because I feel like it helps me focus better. I play piano, too, though I haven't practiced as much as I should lately. I know how to play Grieg's "In the Hall of the Mountain King" which is fun. Do youuuuu play an instrument? Oh my god this is so late. Play piano and clarinet about all my life. Music minor. I also haven't played as much as I should/almost at all since I graduated undergrad last year. Bring back Ice Climbers. Dthrow>FAir>dthrow>FAir>fthrow handoffs until at the edge>dthrow FAir spike kill. Their chaingrabs were a horrible cancer on the metagame (the desynch itself was hard for some characters to get around) but I have to admit you could make their CGs pretty stylish with meteors and forced getups. I'm fine with him having a kill throw, it's just too strong when platforms inherently boost it. 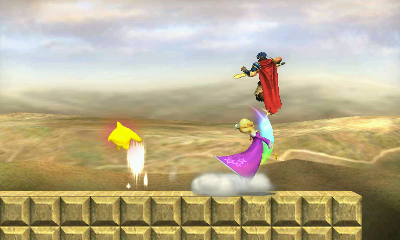 Besides, DThrow kills were cooler. Zelda got some nice buffs this patch. NAir landing lag reduction, USmash knockback buff, and... some tweak to NAir's hitboxes. She's still slow but better. Also I'd get on Skype but I don't have a computer right now, I'm in Vegas. Those are nice buffs for her but they don't solve her problems so it's kinda w/e. Falco idk :/ still won't ever be brawl Falco (which is ok I guess) so I don't like him. I'm in NYC myself. Is it really hot there? Only slightly hotter than Utah tbh. About Falco, the only thing that bugs me about him now is the lack of hitbox on the end of Phantasm. Other than that he's pretty solid (since it looks like they won't adjust attributes like weight and movement speeds). Going to be taking a break from Smashboards. I'll be back to follow Evo though. Hey Kofu I think I fought you on for Glory! Yep, that was me. I remember that match, lol. I was a little frustrated since I missed a punish that probably would have let me win but the ending was amusing. I guess you were going for a spike? GGs BTW! I don't remember a lot of details but I know we both used a lot of characters and the matches were close. I don't even know why I thought that was a good idea, I just wanted to win badly since most of those matches were so close. Either way It would be fun to fight you again since it's rare to find a good for glory player. Here's my FC 4725-8148-2407. Friend was talking about how jiggly has no death matchups despite being considered bad. Pulled out a day 1 G&W and dtilt'd every aerial approach to the point of hilarity. I lost because he timed a back air when I was spamming it, but it seemed like I had a really good idea and a better G&W could take advantage of dtilt>her approach. How'd I forgot about DTilt? Yeah, that move laughs at Jigglypuff's (and most characters) aerial approaches. If the move arcs it's still possible to get his as you use it, though. It's probably one of the strangest changes to G&Was moveset but one that has yet to be fully explored. I think a lot of G&W players have dismissed it.